There has not been an external performance audit of the HISD budget since the 90s. It is so important, now more than ever, to have an audit of the HISD budget to ensure that tax dollars are being spent efficiently and effectively in HISD. 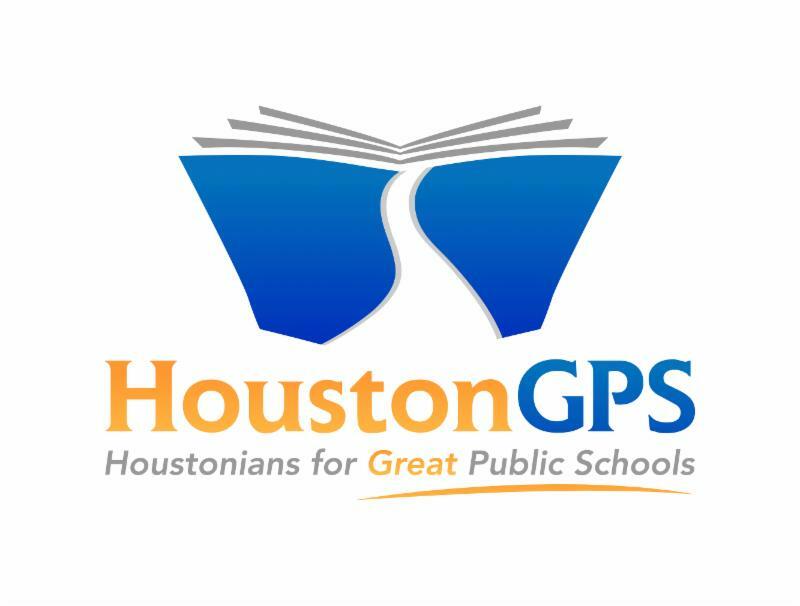 The audit committee recommends for HISD to seek a firm that can conduct this performance audit and present a full draft report no later than April 2019. List of donors: Port of Houston Authority; Ray Cammock Shows, Inc. The Board must approve an optional attendance boundary for Baylor College of Medicine Academy at Ryan (BCMAR) for sixth grade students who are zoned to Blackshear ES, Lockhart ES, and MacGregor ES. The optional attendance boundary will be able to provide direct enrollment access to BCMAR for interested neighborhood middle-school students. Woodson is currently an Improvement Required (IR) school that serves kids from prekindergarten to eighth grade. In order to make required improvements at Woodson, it is recommended that Woodson becomes an elementary school and that the rising sixth, seventh, and eighth grade students be rezoned to Thomas MS, which will have a new attendance boundary. The Board must approve these modifications to Woodson and the changes to the attendance boundary for Thomas MS. List of Vendors: Hardies Fresh Foods DBA Hardies Fruit & Vegetables Co; Kurz & Co.; Country Pure Foods/Cal-Tex Citrus Juice, LP; Oak Farms Dairy/Southern Foods Group, LLC; SunCup/Gregory Packaging, Inc; The Masters Distribution Systems; Firefly Digital Inc; Whitley Penn, LPP; Stout Risius Ross, LLC; BDO USA, LLP; Weaver and Tidwell, LLP; Baker Tilly Vichow Krause, LLP; Plante & Moran, PLLC; McConnell & Jones LLP; Moss Adams LLP; Visual Risk IQ, LLC; Postlethwaite & Netterville, APAC; Ace Mart Restaurant Supply Company; Bridge Transitions Company; Brooks Duplicator Co.; Cengage Learning dba National Geographic Learning; CLS Technology; CompuScholar; Data Projections, Inc.; Eduthings, LLC; Fueleducation K-12 Virtual School; Globaloria, LLC; Johnston Supply; Knolwedge Matters; Lab Resources Inc.; Latavco Consulting Group, LLC; LearnKey; LEGO Education; McGraw-Hill School Education; NAO Global Supply; Nasco International; Nepris, Inc.; PetroEd Multimedia Inc dba Strategic IP Licensing; Pocket Nurse Enterprises, Inc.; Project Lead The Way; Technical Laboratory Systems, Inc.; The Histrionics Company; TNT Electrical Contractors; Total Seminars; Troxell Communications, Inc.; Virtual Intelligence Providers; VWR International LLC; White Box Learning; Kyrish Truck Centers of Houston; Asteria Education, Inc.; Mobile Modular Management Corporation; Palomar Modular Buildings, LLC; Alamo Music Center, Inc.; Band Shoppe; Bandstar Musical Instrument, LLC; Bocal Majority Bassoon Camp; Brook Mays Music/H & H Music; Collins Music Center; DF Music Enterprise, Inc.; Fishburn Violin Shop, LLC; Fleming Instrument Repair; Fort Bend Music Center; Hermes Music; High School Music Service; Hillje Music Center; Ironwood Manufacturing, Inc.; Jarvis Industries; MakeMusic, Inc.; Melhart Music Center; Montgomery Country Music Center; Music & Art Center; Music in Motion, Inc.; Music is Elementary; N Tune Music and Sound, Inc.; Olivias Music; Pender’s Music Company; Percussion Center; Periopole; RBC Music Company, Inc.; RhythmBee, Inc.; Romeo Music, LLC; Sam Gibbs Music; Shar Products Company. ; SICO America, Inc.; South Texas Band & Formal; Southwest Strings; StageRight Corporation; Steve Weiss Music, Inc.; Tarpley Music Company; Taylor Music, Inc.; Tempest Musical; Instruments, Inc.; Texas Band and Orchestra; The Band Room; The Clavier Group, Inc.; The Director Assistant; The Strings and Horn Shop, Inc.; The Tuba Exchange; Thorn Music Center; Washington Music Sales Center; Wenger Corporation; West Music; Williamson Music Company; Woodwind and Brasswind Worldwide Piano; SHI Government Solutions, Inc.; Jamail & Smith Construction, LP; Brown & Root Industrial Services, LLC; Dura Pier Facilities Services, LTD, dba Facilities Sources Westco Ventures, LLC; JR Thomas Group, Inc.; Southern Sound Systems, Inc.; EMC Corporation dba System Peripherals, Inc.; Shipcom Wireless, Inc. The Board must approve the 2018-2019 Resource Allocation Handbook. HISD uses a weighted student resource allocation formula to fund campus budgets. Here are the major components of the formula. (B.1) The Board must approve the expenditures for the runoff election on December 9, 2017 for districts I and III. (B.2) Trustee Flynn Vilaseca is to be reappointed to Position 1 in the Public Facility Corporation and Trustee Jones is to be appointed to Position 3 in the Public Facility Corporation. (D.3, D.4, D.5) The Board must approve the proposed 2018-2019 local calendar for the Teacher Appraisal and Development System, Central Office and Campus-Based Non-Teacher Appraisal System, and School Leader Appraisal System. (E.1) The Board must approve the renaming of the J.R. Reynolds ES Library to The Willie Bell Boone Library. (F.2) The Board must authorize the superintendent to execute a contract with Camp Cho-Yeh for outdoor education programming. (H.1) The Board must authorize the superintendent to execute a construction contract with Hayden Paving for the reconstruction of the athletic track at Cowart Stadium. (H.2) The Board must authorize the superintendent to execute a staging area site agreement with CenterPoint Energy for the use of stadium sites. (I.3) The Board must allow district employees to act as authorized representatives for financial transactions at TexPool and Lone Star Pools, which are local government investment pools. (I.4) The Board must approve the resolution and interlocal agreement to participate in the Texas Public Energy Alliance and authorize the superintendent to execute a future contract for electricity with the Texas Public Energy Alliance Program. (J.1) The Board must accept the proposed grant funds for the Fine Arts Initiative in District III. (K.1) Proposed Revisions to Board Policy on Employment Requirements and Restrictions: Medical Examinations and Communicable Diseases – Second Reading. The Texas Department of State Health Services (TDSHS) does not require districts to require teachers or other school employees to have a tuberculin (TB) skin test. Because of this, the district provisions requiring new employees to provide the results of a TB test are recommended for deletion. If an HISD educator is placed on temporary disability leave because his/her condition interferes with regular duties, then he/she has the right to present testimony or other relevant information to his/her fitness to continue working. (K.2) Proposed Revisions to Board Policy on Employment Practices – Second Reading. The proposed revisions were made to satisfy policy requirements from the Every Student Succeeds Act (ESSA) and to be in line with current district practices.